Story Hoodline — Looking for some mind-blowing crepes? You’re not alone. But where should you go to get the best crepes in the Burgh? Using both Yelp data and our own secret sauce to produce a ranked list of where to fill the bill, we crunched the numbers to find the top creperies in Pittsburgh. Topping the list is Geppetto Cafe. 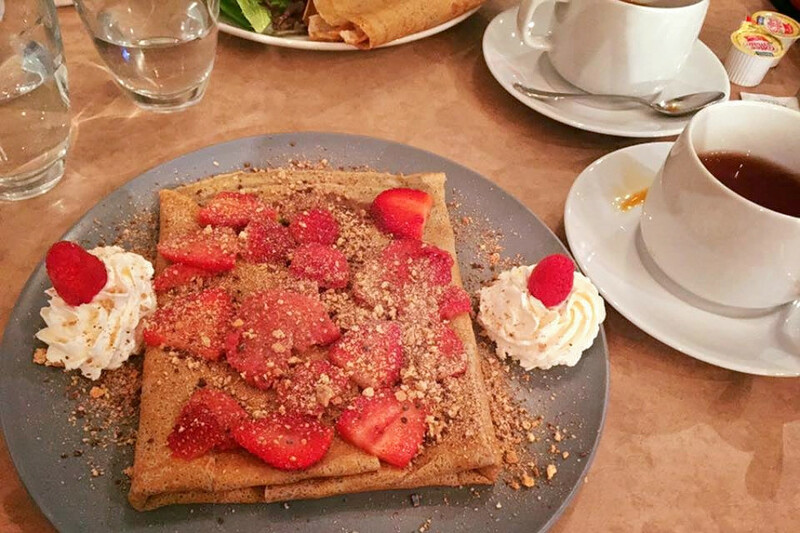 Located at 4121 Butler St. in Central Lawrenceville, the breakfast and brunch spot is the highest rated creperie in Pittsburgh, boasting 4.5 stars out of 126 reviews on Yelp. The eatery specializes in both sweet and savory crepes. For something savory, consider the Gone Fishin’ (smoked salmon, capers, caramelized onions and cream cheese) or the Bonjour (scrambled eggs and brie cheese topped with bacon and maple syrup). If you’re craving something sweet, try the Merry Berry (seasonal berries with nutella) or the Cheesecake (ricotta cheese with white chocolate and raspberry compote). 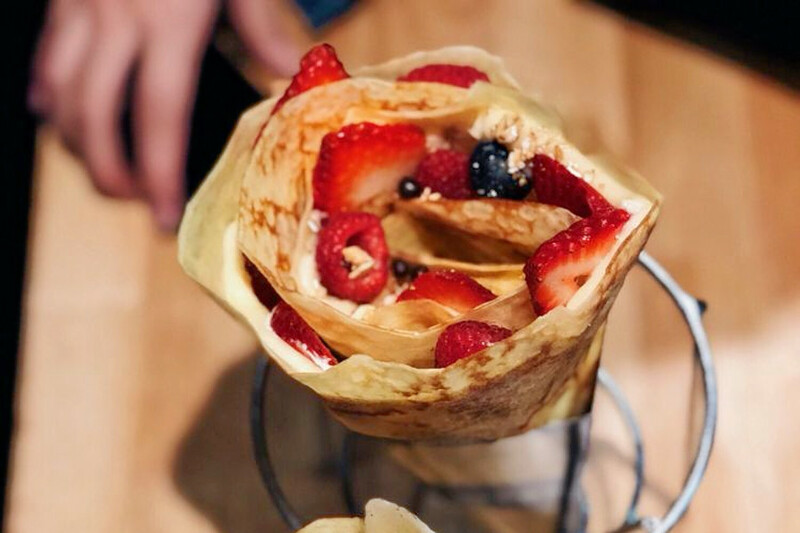 Next up is North Oakland’s Crepes Parisiennes, situated at 207 S Craig St. With four stars out of 140 reviews on Yelp, the creperie has proven to be a local favorite. 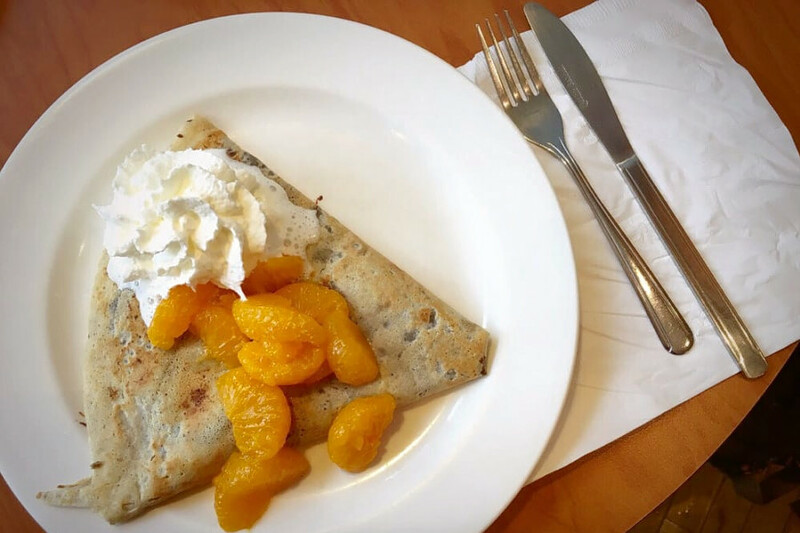 Fan favorites include the savory breakfast crepe (with sausage, egg and cheese), the banana and brown sugar crepe, and the mandarin orange with chocolate crepe. Squirrel Hill’s T-Swirl Crepe, located at 1714 Murray Ave., is another top choice, with Yelpers giving the creperie 4.5 stars out of 35 reviews. Try the T-swirl BLT, the Chicken Teryaki or the Angus Short Ribs if you want to get a savory crepe. On the other hand, if you’re looking for something sweet, popular menu items include the Chocolate Nut Party, the Strawberry Banana, and the Blueberry NY Cheesecake. 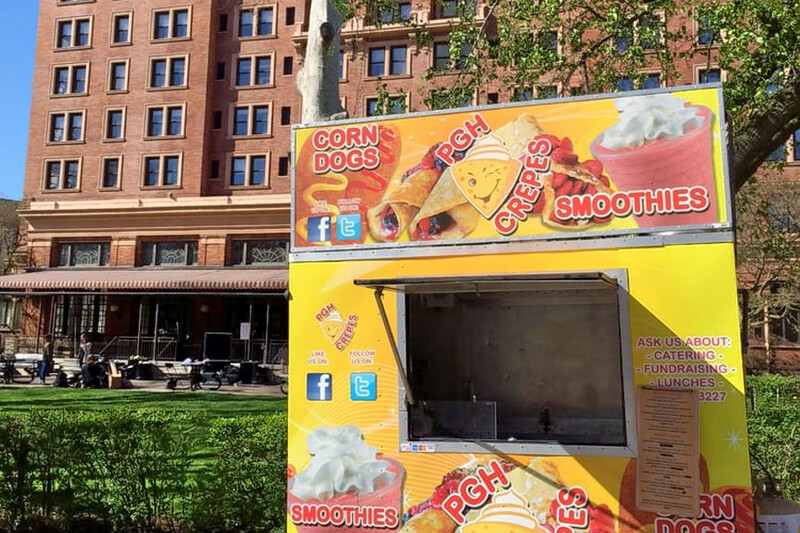 Pgh Crepes, a food truck and creperie stand in North Oakland, is another go-to, with four stars out of 17 Yelp reviews. Head over to Bigelow Boulevard, at Forbes Avenue to see for yourself. If you’re not sure what to order, go with the Reeses Crepe or the Chicken Ranch Crepe.